Surprisingly, very few lawyers know the feeling of an outright acquittal (not guilty verdict) in their careers. Loren M. Dickstein and Randy M. Lewis have won many not guilty verdicts for their clients charged with DUI and other alcohol related offenses. Their successful record of trial victories, favorable plea bargains and winning appeals causes Michigan’s state and local prosecutors to make very favorable settlement agreements to avoid a hearing at which the experienced DWI lawyers with LEWIS & DICKSTEIN, P.L.L.C. might prevail. LEWIS & DICKSTEIN, P.L.L.C.’s winning trial and plea bargain record have earned them a esteemed and highly respected reputation throughout Michigan’s legal community, with Michigan’s judges, federal judges, in the Court of Appeals and in the Michigan Supreme Court. 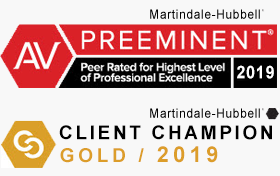 They are nationally recognized for their experience, industry recognition and client recommendations. Prosecutors have indicated that they use intelligent legal strategies and skills in developing and delivering strong defenses for each individual client’s drunk driving or drinking and driving cases. Don’t trust your Michigan DUI-OWI case to an amateur or a general practice lawyer; take advantage of our years of experience, trial work and legal expertise with OWI laws. If you are looking for a DWI Attorney in MI, please contact the DUI defense law firm today at (248) 263-6800 for a free consultation and we will call you. We approach each and every case with the care, dedication and attention you expect and deserve. 1. Q: What do DUI, OWI, OWIN, OWID, DWI and OWVI mean? A: DUI (Driving Under the Influence of Alcohol or Drugs), OWI (Operating While Intoxicated), OWIN (Operating While Impaired by Narcotics), OWID (Operating While Impaired by Drugs), DWI (Driving While Intoxicated) and OWVI (Operating While Visibly Impaired). 2. Q: Can a DUI/DWI attorney guarantee a particular result (like a charge reduction, reckless driving, careless driving, not guilty verdict, dismissal, etc…)? A: No. The Michigan Rules of Professional Conduct prohibit an attorney from making promises or guarantees. 3. Q: Do you have to be “drunk” to be guilty of drunk driving? A: No. Years ago, a drunk driving charge meant someone was “drunk” in the way all of us commonly understand the word – intoxicated. But today, intoxication as we know it is not required for one to be guilty of drunk driving. So the criminal laws against drinking and driving now mean operating a vehicle with considerably less alcohol in your system than what we customarily recognize as being enough to make a person drunk. You may not think you are drunk. Those around you may not think you are drunk. Indeed, for the purpose of every other situation except driving, you may not even be considered drunk. But your condition may be enough for you to be charged with a DUI offense under the current definition of the law in Michigan. 4. Q: What kind of reason does a police officer need to have in order to stop me to investigate whether I am driving under the influence of drugs or alcohol? A: The officer must have what is legally termed a “reasonable suspicion” that a crime is being committed. This is a low standard and it can be satisfied by an observation of something appears out of the ordinary and that might be a sign of a driver being under the influence. Dismissals on DUI cases often result when a Motion to Suppress or a Motion to Dismiss is filed because a traffic stop was illegal or violated a driver’s constitutional rights. 5. Q: What happens to me if I am pulled over by the police for investigation of drunk driving? A: If you are stopped, always be courteous with the officer even if you are 100% clean of any type of alcohol or drugs, and even if you are certain that your driving did not show anything unusual. Never argue with the officer. Law enforcement is a tough, often nerve wracking job and the “attitude” you show to the officer can often make all the difference as to whether or not the encounter will be an unpleasant one for you. You are NOT legally required to participate in field sobriety tests (FST) or to answer the officer’s questions. Just say, “I respectfully decline to answer your questions or participate in your field sobriety tests.” You must accurately give your name. 6. Q: What will happen if the officer who pulls me over suspects that I have been driving under the influence? Other tests are frequently given but are not “standardized” field sobriety tests. In addition to these tests, some officers typically have a breath-testing device called a PBT or Preliminary Breath Test. This device does give a measurement of alcohol through the analysis of the breath but is really more for determining the presence of alcohol. The result of the PBT is not typically admissible in MI courts. It is very important that if you suffer from any health problems, physical limitations, or eye problems that you disclose them to the officer if you perform the tests and have any trouble. 7. Q: What happens if the law enforcement officer believes that I have not performed the field sobriety tests satisfactorily? A: At that point you will be told that you are under arrest for driving under the influence. You will be arrested, searched for weapons, placed in the back of the officer’s car and taken to a jail or the hospital for further tests. At the jail you will also be booked and held there until you post bail or you are released on your own recognizance without bail. Once again, as upsetting and as stressful as being arrested is, it is essential that you continue to act courteously and cooperatively with the officer. Do not argue, threaten or become belligerent in any way. This type of behavior will only make the experience even more unpleasant for you. 8. Q: What is a blood alcohol test? Obtaining a breath sample by having you blow into a machine called a Breathalyzer or Datamaster (This is different from the field sobriety breath device described above). You have the choice of which one of these tests you will take but an OWI suspect will rarely be asked. The only time your ability to choose which test you take can legally be restricted is if you are in a locality that simply does not have access to one test or the other. The officer should tell you that the option as to which test you take is up to you. But quite often officers will try to pressure, force or browbeat a person into taking the blood test because this is the most effective procedure for the prosecution to use against a person in court. You do not have the right to refuse to take any test. If you refuse to take the test, your driver’s license is automatically suspended (this is called an implied consent suspension). Also, in your trial, the jury will be told that you refused to take the test and the judge will instruct the jury that they can consider your refusal as evidence of your guilt. 9. Q: What are the penalties for driving while under the influence? A: Drunken driving penalties have become very severe in the past few years in Michigan. For a first offense, the maximum jail sentence is 93 days. For a second offense within 7 years, the maximum possible sentence is 1 year. For a third offense in a lifetime, the maximum possible sentence is 5 years in prison (Heidi’s Law). In addition to all of the above penalties, the price of auto insurance increases drastically after any conviction for a driving under the influence offense, MI drivers are required to pay huge drivers responsibility fees, the court impose onerous probation conditions and there are exorbitant fines and costs. 10. Q: What should I know in order to make an intelligent choice about which blood alcohol test I should take? A: As mentioned above, from the standpoint of the police and prosecution they will always prefer to have the more accurate sample of your actual blood to use against you as evidence in court. On the other hand, a breath test may show an inaccurately high reading against you if you take the breath test shortly after your last drink. This is because of the high alcohol content lingering in the mouth, esophagus, and the upper digestive system. If you have used any kind of breath spray, mouthwash or even should you burp shortly before the breath test, then the reading could be inaccurately high against you. The blood test will also show the presence of drugs as well as alcohol. However a breath test can only determine alcohol content and nothing about drugs. Driving with any amount of alcohol in your system that causes your physical abilities to be impaired in any way. ? Driving with a level of alcohol in your system that amounts to a measurement of.08 of blood alcohol content. To be guilty of this offense, absolutely no impairment of any of your physical abilities is necessary. You may well be the world’s most talented, careful and safest driver, but if your blood alcohol content registers .08 or above you are guilty of a criminal offense. ? Driving with prescription drugs in your system or with a combination of prescription drugs and alcohol, no matter what the amounts of those substances may be, where your physical abilities have become impaired in any way. Driving with illegal drugs in your system. It does not matter if the drugs are legal or if you have a prescription to take the drugs. If you are impaired as a result of taking them, then you are may be accused of a criminal offense. 12. 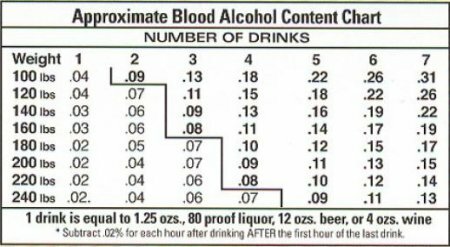 Q: What amount of alcohol do I need to drink to have a blood alcohol content of .08 or higher? 13. Q: How do I know if a MI Attorney is right for me? A: Some lawyers just have “it” and some don’t. It is critical to meet a lawyer in person before making a selection. The only way to know if you have someone who can be trusted with your fate in his or her hands is to look in that person’s eyes. When you look into his eyes and he says he is going to do everything possible to fight for you, you will be able to tell whether it is a sales job or genuine. You can never fully tell over the telephone or through email. If, after meeting personally with an attorney, you feel confident that he or she is a great criminal defense lawyer and that he or she is going to provide the best possible legal representation, it is very likely that you have found the right person for you. 14. Q: What are the counties with the most DUI cases or drunk driving charges? A: Among the most common are Oakland County, Macomb County, Washtenaw County, Livingston County and Wayne County (all in Southeastern, MI). 15. Q: Is it ethical for a MI DUI Attorney to say his law firm has the best attorneys, the top attorneys, the best lawyers, best criminal lawyers, best DUI attorneys, top dui attorneys, etc…? A: No, these claims are not ethical under the MRPC. 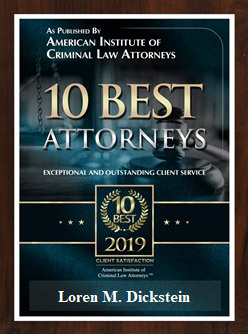 An attorney may say they are one of the top DUI lawyers or one of the best DUI lawyers but claims to be the actual, best lawyer are not ethical. Another common claim is that a lawyer is a MI expert, OWI expert or DUI expert. These claims run afoul of the MRPC as well.